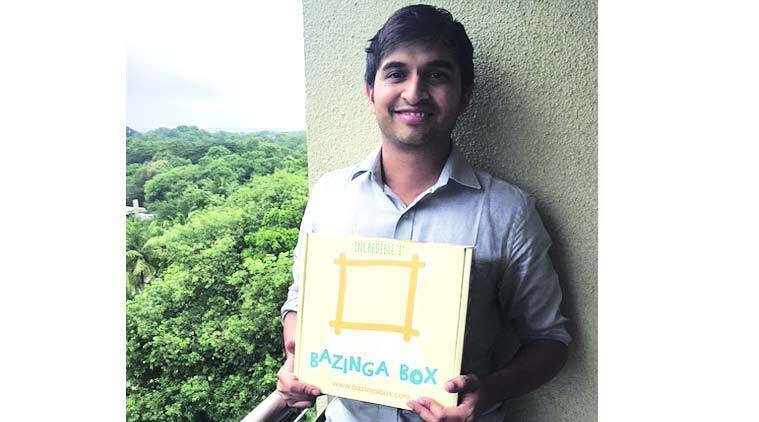 His creation Bazinga Box enhances life skills through board games, art. What if education was provided at your doorstep in a box every month? While many may say education can’t be confined in a box, Rohit Sabnis thought otherwise. Having studied in both New Zealand and India, the ISB graduate knew the role of non-traditional education in a child’s development. He studied the developmental stages of a child’s brain in developed countries and marked how they were in contrast with the stages in India. In an attempt to bring the country on par with the best in the world, he launched a start-up called Bazinga Box in December last year. The box, consisting of science experiments, board games, 3-D puzzles, art and craft has become popular not only in Pune; but also in distant cities like Delhi, Bangalore and Chennai. Focused on children between the ages four and eight, the box is devoted to enhancing the holistic development of children in their formative years. Through its monthly activity kits, the start-up aims to combine traditional pedagogical techniques with quality, modern materials to provide a unique learning experience. Sabnis says their childhood education experts and product designers ensure that each kit covers different brain stimulating activities. Once the boxes have been designed, the kits are tested with parents and kids, and then subjected to a rigorous safety and quality check. Only then the products are passed. Bazinga Box has five employees currently and the team operates from house. “We’ve sold over 200 boxes till now and only 30 percent of our clients are from Pune and Mumbai. The rest of them are from outside of Maharashtra. Some of the parents loved the kits a lot. We’re planning to spread, but gradually. Soon, we’ll create boxes for different age groups,” concludes Sabnis.